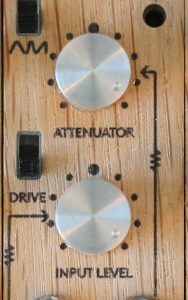 ABC is a simple 6 channel signal mixer. 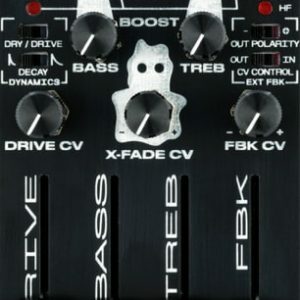 It has 6 inputs – A,B,C,D,E and F – and two outputs – A+B+C – which is mixed in to the D+E+F output if nothing is inserted in the A+B+C jack. ABC is designed to mix audio signals, but can be modified to mix CV signals instead. 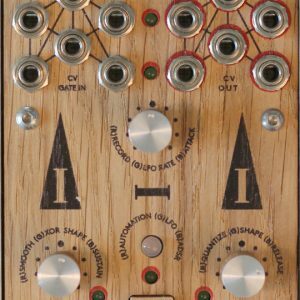 There are 6 solder jumpers on the back side, which can be connected to turn the abc mix into a CV mixer. There are also 3 jumpers on the back side which can be used to normalize inputs A to D, B to E and C to F. This is useful if you would like to use the abc mix as a 3 channel stereo mixer (using both outputs and having separate volume control for left and right channel).